The Cotonou Agreement, which has governed EU-ACP relations since 2000, did not prove effective in terms of promoting economic development and increasing market shares for European businesses in ACP countries. The negotiation of a new partnership agreement is a unique opportunity to reshape relations between EU and each ACP region by creating a new dynamic global architecture relying on three substantially separate regional compacts conducive to growth and sustainable development. Particular attention should be paid to the African continent, where a major part of future growth will take place. Europe and Africa must enter a new phase of unprecedented cooperation. 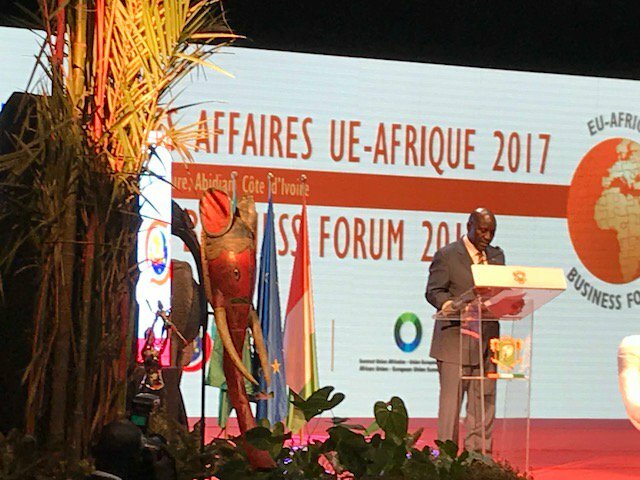 The Post-Cotonou partnership must therefore be ambitious and reinforce the special relationship between Europe and Africa through a new partnership based on mutual advantages, co-development and a “one-continent approach”. The relation between the EU and its African counterpart, the African Union, will be key to build this long lasting and effective partnership. For the new partnership to bring tangible benefits, a strong involvement of the European and ACP private sector before, during and after the negotiations is key. In the case of Africa, a flexible and adaptable platform involving the EU Institutions, the African Union and the European and African private sector should be created. Moreover, a platform at national level inspired by the Sustainable Business for Africa Platform could be useful to promote policy dialogue and improve the investment climate. The new partnership needs to be underpinned with instruments to leverage private sector investment by reducing risk and improving the investment climate through dialogue on necessary reforms. To achieve this, the focus of EU funding instruments must shift from budget support to support for private sector development. The External Investment Plan is a promising initiative in this regard and should inspire discussions on the reform of the architecture of EU External Financing Instruments in general and especially the European Development Fund. While synergies between existing instruments must be increased, further instruments should be created to strengthen value chains and economic diversification. The Agreement should include strong provisions to promote the finalisation and implementation of the Economic Partnership Agreements (EPAs). EPAs play a key role in supporting the regional integration processes of ACP countries, e.g. in terms of harmonization of regulation, taxation, customs procedures, free movement of goods, strengthening regional institutions etc. Moreover, they will improve economic relations and competitiveness of African and European economies, also vis a vis other global players.